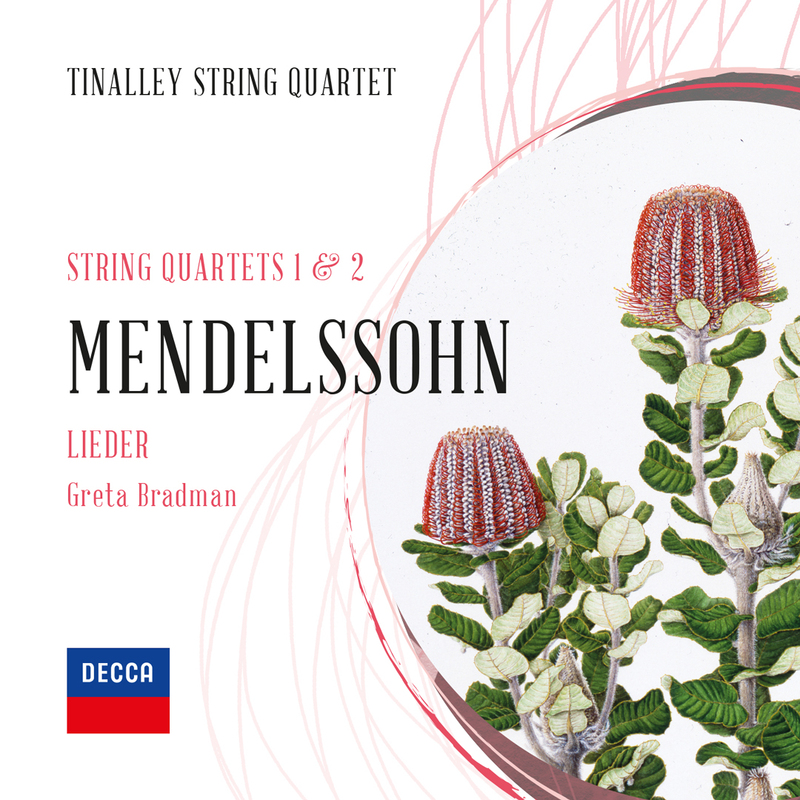 In an Australian first, the Tinalley String Quartet will record the complete catalogue of Mendelssohn String Quartets for release on DECCA Classics Australia. Please help us realise OUR vision by joining the Tinalley String Quartet collective – the Mendelssohn Collective. The string quartets of the great Romantic composer, Felix Mendelssohn, have been a source of constant inspiration to the Tinalley String Quartet over its lifetime. Spanning the breadth of his adult life, each work comprises unique artistic challenges and technical complexities for the performers. Extraordinary in dramatic scope, the works are bound by classicalism and yet explore a new breadth of expression and form. The quartets of Mendelssohn will span three albums. The first, which was released in February 2019, comprised the Opus 12 and 13 Quartets of Mendelssohn plus a selection of his Lieder, reimagined by Calvin Bowman for soprano, Greta Bradman. The second album, currently scheduled for recording in October 2019, will feature the first of the Opus 44 set, the tragic Opus 80 Quartet and the Four Pieces. The third album, scheduled for 2020, will feature the remaining two quartets of the Opus 44 set. The three albums will then be bundled together and re-released as a complete catalogue. Following on from the success of Tinalley String Quartet’s first release of the Debussy and Ravel Quartets on the DECCA Classics Australia label, it was DECCA who suggested that Tinalley record the entire Mendelssohn catalogue and Tinalley jumped at the opportunity. Recording two albums over the next 18 months is a great financial challenge. Costs incurred by the quartet will include venue hire, producing, engineering, editing, equipment, artists fees, travel costs, artwork and post-production.